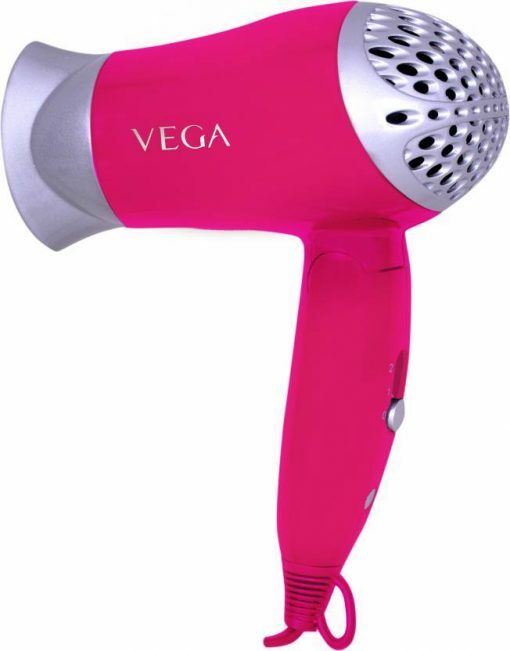 Now let your hair down at a party, literally, without a hint of frizz with this hair dryer from Vega. 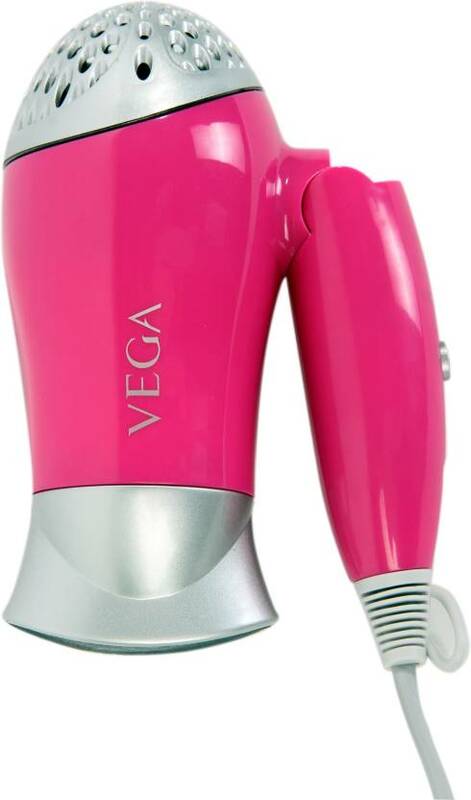 Whether you wish to give your curls a fuller look or let your straight hair shine in all its glory, this appliance will definitely be a great pick. 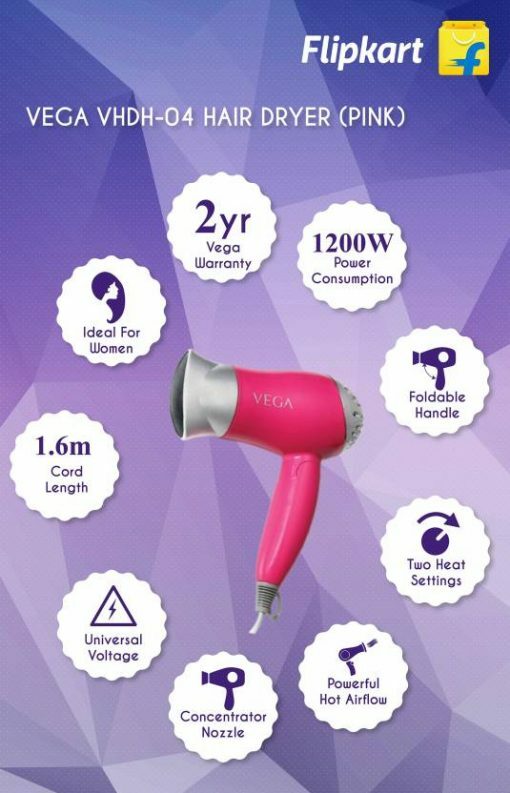 Equipped with two speed settings and an integrated heat switch, this hair dryer can be used according to your convenience. 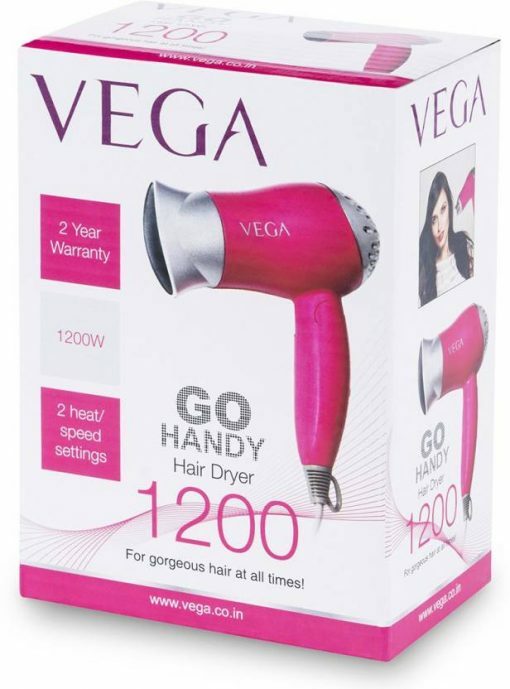 This dryer also has an airflow function that can be adjusted for versatile styling. This dryer comes with a concentrator accessory that helps you in precise drying and styling. 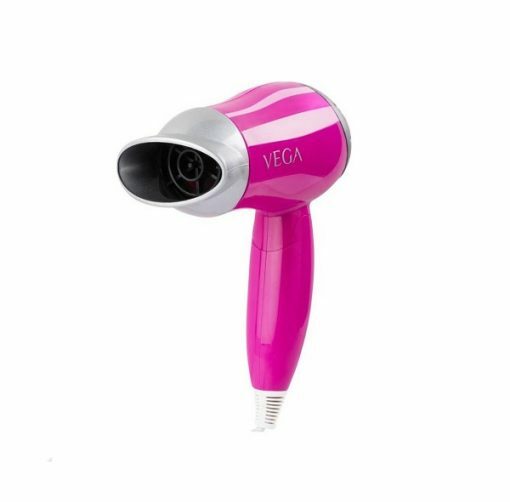 Lightweight and compact, this hair dryer can be carried along when you are on the move.